The painting shows an example of a painting in water colour of a church. It is believed to be in the Ile de Re an Island connected by road to La Rochelle in France. 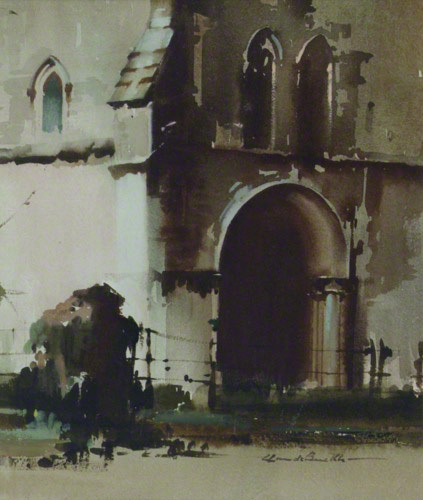 Claude Buckle continues to refine his ability to paint buildings in this example of a church. Created in 1969.